EDIT: New forecast says it could rain in morning and afternoon. Rating revised a bit downward. Monday, a new day, new week, new month, new weather infographic. 1.85/4. See below for details. April 28: Another day, another wrong forecast? So many alarmist stories about rain, so little actual rain. What the heck, Chicagoland meteorologists? Same deal Friday as Wednesday and Thursday. A good chance of rain. After being burned in the past, here’s our take: be skeptical. But bring rain gear anyway. Get it? This lady’s not wearing any rain gear. A commentary on our disappointment with recent Chicago weather forecasts. -Humboldt Drive & Luis Munoz Marin Drive station (inside Humboldt Park) removed entirely. Aw. -New station opens at California Ave. & Cortez St. Otherwise, all stations operational except Chappel Ave & 79th St., which remains closed. And the 1300-1400 blocks of E. 71st re-open after a monthlong closure. FYI, just out of view: closures at North Ave. and Bosworth. 2.75 stars. Pretty good, assuming it doesn’t rain. Enjoy your rides, and stay dry! Thursday: like Wednesday, maybe. In the sense that meteorologists predict bad weather but it all turns out okay. Or more than okay. Because Wednesday was beautiful! Meteorologists wrong! We give it a retroactive 3.25 stars. Note a new infographic innovation: rain chance probability. Part of our effort to be more transparent about weather uncertainty. All day: High 54, low 44, cloudy, windy, and possibly rainy. Morning: low 50s, 50% chance of rain, wind from the west at 14 MPH. There’s a near 100% chance of rain really early–5-6 AM–so roads will be wet. Evening: low 50s, cloudy, wind from WSW at 16 MPH. Pretty windy out there. Hold onto your lettuce. 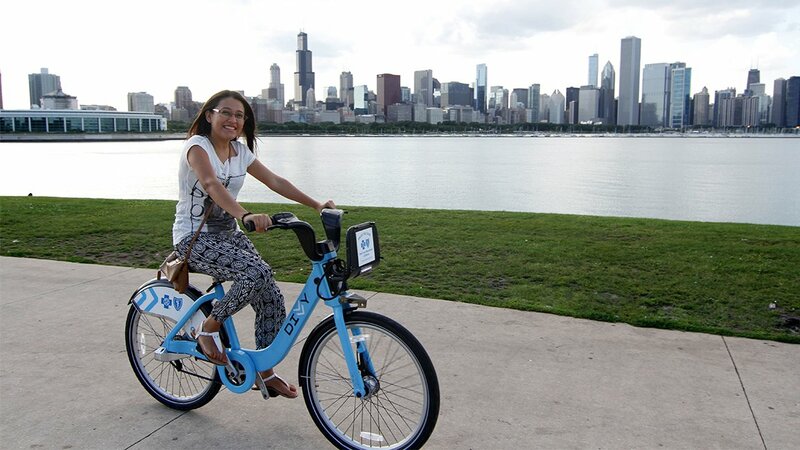 DIVVY REPORT: Sedgewick & Schiller back online. We also just noticed Chappel Ave. and 79th has been closed since April 14th. Oops. But if that’s your station, you probably knew already. 2.25/4. Windy, cloudy, wet roads, chance of rain. But nothing too bad. Wednesday looks likely to end the streak of excellent bike commute weather. Or does it? AM on the left, PM on the right. You know the drill. Morning: mid 60s, winds from the south at 12 MPH, isolated thunderstorms possible. Evening: low 70s, winds from the south at 14 MPH, thunderstorms likely. Tom Skilling says T-storms could be severe later in the evening. Dress appropriately. Hmmmm. Actually that’s kinda cool. DIVVY REPORT: As of 4PM, the station at Sedgewick and Schiller is out of service. Check the service map before you leave for work tomorrow morning. 1.9/4. Maybe severe storms, maybe no rain at all. Who knows? This is our way of dealing with uncertainty. Dress with versatility, and enjoy your rides. April 25: Ride your bike! Monday: what a day to ride a bike! Tuesday: what a day to ride a bike! Morning conditions on the left, evening conditions on the right. Overall, a high of 72 around 2pm and a low of 53 in the early morning. Morning: High 50s, partly cloudy, winds from the SSE at 8 MPH. Evening: Low 70s/high 60s, less sunny than morning, winds from SE at 12 MPH. So, a bit windier and cloudier than Monday, but warmer too. A little lettuce flap, but altogether mild. News on the street closure front. Click here for the rest of the map. 3.5/4. Excellent! Again! Clouds and moderate wind are a very slight bummer, but spring warmth keeps us near peak bike commute conditions. Monday: like Friday, but with even nicer weather for a bike commute. We’re approaching peak bike commute conditions. The second iteration of the AM/PM weather infographic. Notice how only the PM side of the sun has a cloud. This means sunny morning and partly cloudy afternoon/evening. What a clever and comprehensive infographic, right? Enough wind to wobble your lettuce, but not enough to blow it off your head. DIVVY STATUS: All stations operational. 3.5/4. Marked down ever-so-slightly for the temperature, but it doesn’t get much better than this. Friday: the temperature yo-yo continues. Now we’re back to 40s. We don’t mind, because colder weather means less sweatiness. Here’s CBR’s latest effort to perfect the weather infographic, because a bike commute entails two trips, AM and PM. So we did two weather reports in one: AM on the left, PM on the right. Evening: High 40s, mostly cloudy, winds from NNE at 12 MPH. Click here to zoom and see details. 3/4, again. Not as gorgeous temperature-wise as Thursday, but wind is more agreeable. No excuse not to ride! First, the Lake Front Trail near its northern terminus, c. 3 PM. Thanks, Daniel Burnham and Edward Bennett. A near perfect day. In retrospect, Thursday’s 3 star rating was a bit stingy. 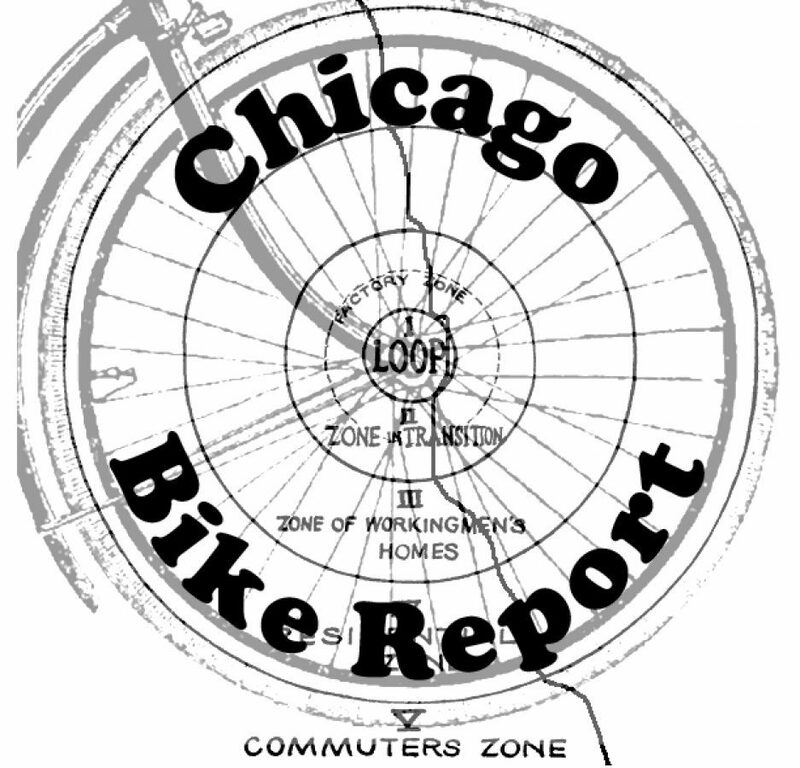 Enjoy your rides, and follow @bikereportchi for updates and news. Thursday: a good day to commute. Warm all day and sunny in the afternoon, but a tad blustery. 20mph winds could make you go fast or slow, depending on your perspective. Comprehensive Weather Infographic, now featuring a face. Morning: High 60s, mostly cloudy, 16mph winds from the southwest. Slight chance of rain. Evening: Low 60s, mostly sunny, 19mph winds from the west. But after today’s dud of a thunderstorm, a cautionary note about weather forecasts and the general unknowability of the future: Tom Skilling’s WGN forecast predicts a high of only 60 degrees and a low of 41. Dress with versatility! Yeah, pretty windy. Properly secure the lettuce to the top of your head. 3/4. Marked down due to wind. It was a big day for Chicago Bike Report, as we got our first media mention, courtesy of Streetsblog Chicago. Check it out for a much more thorough treatment of the Lake Front Trail separation plans. Enjoy your rides and this parting pic of the 31st Street Bridge.